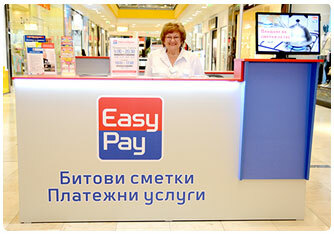 Free branding materials for your location, provided by EasyPay AD. Our partnership programme gives you the opportunity to accept payments and provide all services of EasyPay AD, such as periodical payments for utility bills (electricity, water, heating, telephone, GSM, gas, cable TV, Internet, etc.) 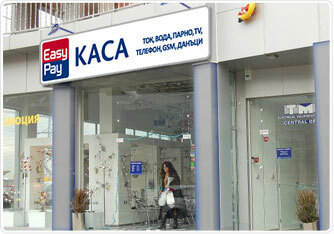 and other payments (bank account transfers to Bulgaria, money transfers in cash, taxes, fees, insurances, etc.). The programme is mostly suitable for organizations and companies with several own locations or a network of partnership locations. If you are interested in partnership with us, you can fill in the application form below. We will consider your application carefully, regarding the activities and location(s) of your business as well as our need to have agents in that area, and we’ll then inform you about our decision. * Please, use the Cyrillic alphabet only to fill in all fields of the application form. and another one, presenting the interior of the workplace. Sample picture 1. Sample picture 2.